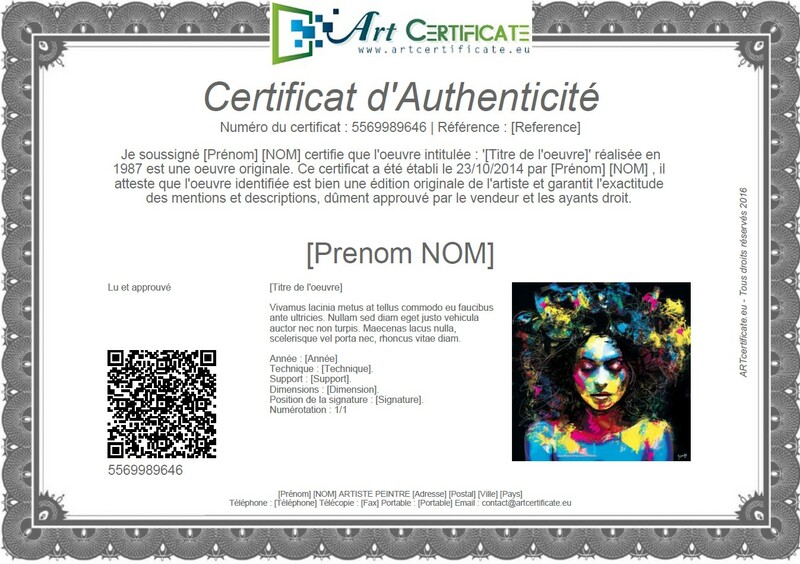 Print your certificate of authenticity! ARTcertificate offers you to create and print yourself your certificate of authenticity painting, sculpture, photography. The signature of the applicant is compulsory. The use of a specific paper is recommended. A safety hologram is recommended.